Denver’s health departments are looking to young people in Denver to help us better understand what health issues really matter to youth. If you know any young people who live in Denver and are between 15 and 25, please encourage them to apply for this paid opportunity to be a part of the Youth Leadership Team for the 2017 Youth Health Assessment (YHA). The YHA Youth Leadership Team will be made up of 6-10 Denver youth who are committed to helping the public health agencies in Denver better understand the key issues in youth health from the youth perspective. 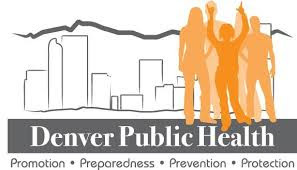 This work will be coordinated by Denver Public Health and Denver Environmental Health and will use a youth-led research approach to determine what matters most in youth health! Please share this opportunity with your networks, particularly those that reach young people between the ages of 15-25. Learn more about this opportunity. Interested youth can apply online. Applications will be accepted on a rolling basis until January 10th, 2017. Please direct questions to Abbie Steiner, Youth Health Assessment Project Manager (Abigail.Steiner@dhha.org).